My name is Michael,i'm 17 and I live in Montreal,Canada. 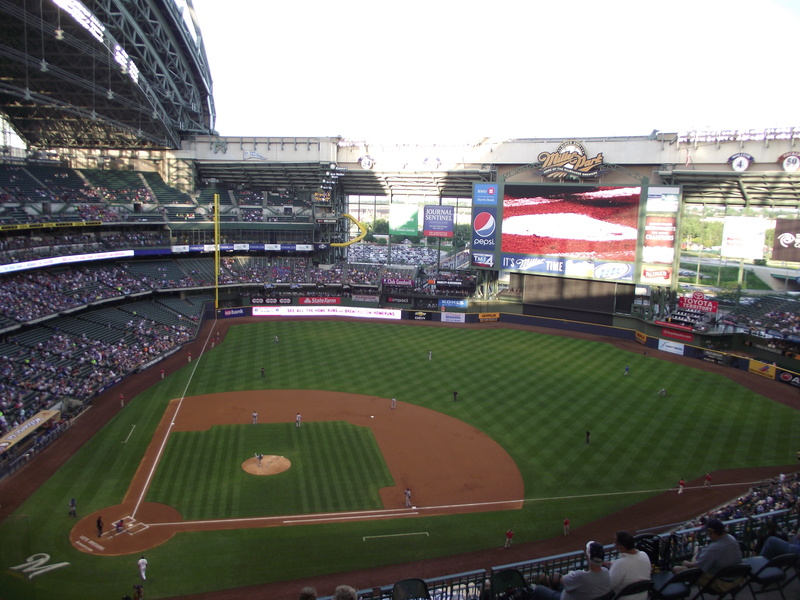 I'm a big baseball fan,and love to travel around North America on a shoestring to see to MLB stadiums and try to catch balls. 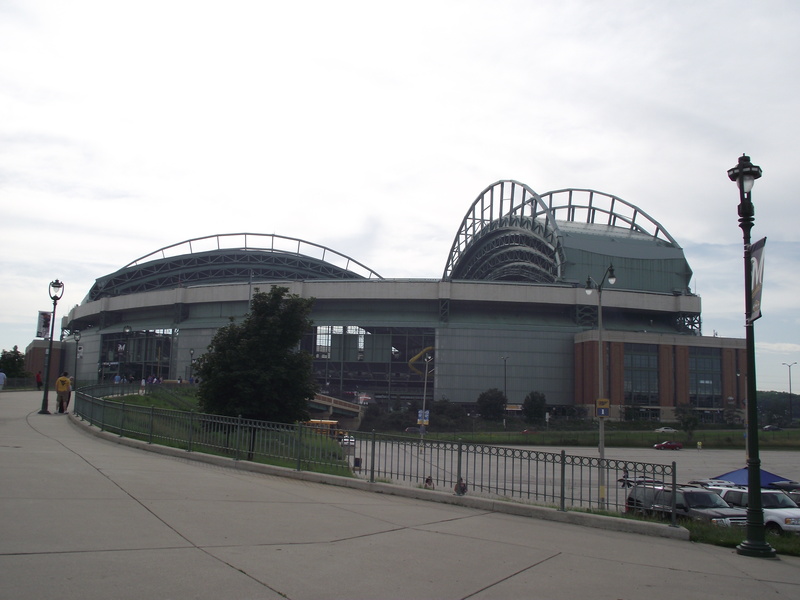 Follow my adventures on Baseball Highway! 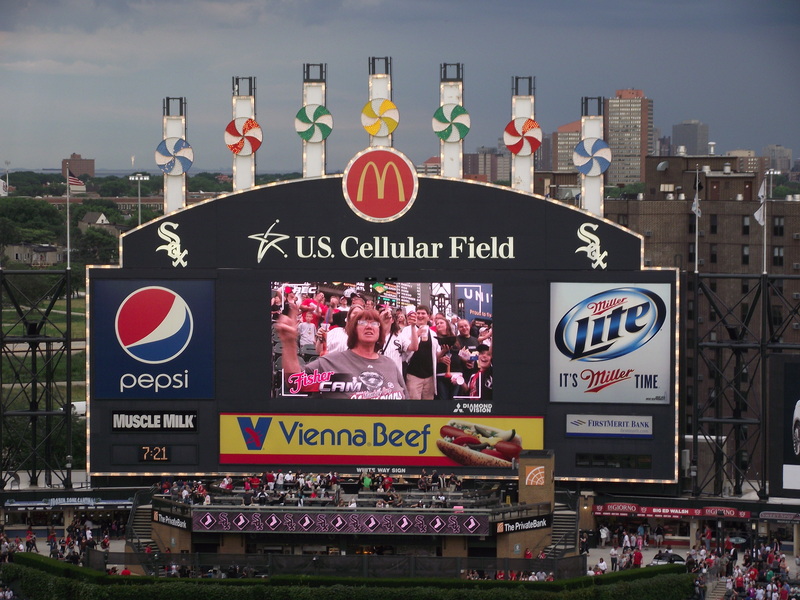 Earlier this day, I went to another great sporting event in Chicago. Football? No. Soccer? No. Hockey? Well,almost! 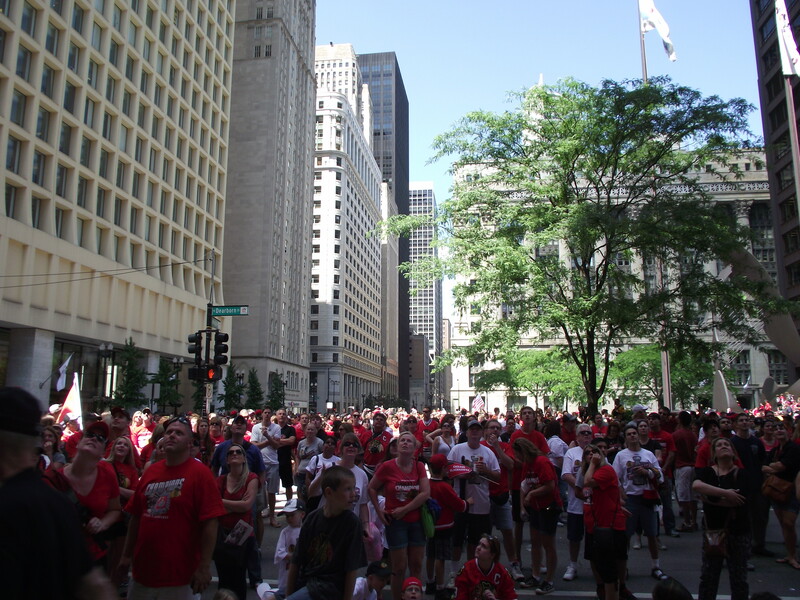 It was the Stanley cup parad and there was like a ZILLION people in the streets. I was affraid that a lot of them were going to say ”Why not go to the ballgame tonight?”,a ballhawking nightmare! Look at that! It was just crazy! Ok,ok. Baseball now! 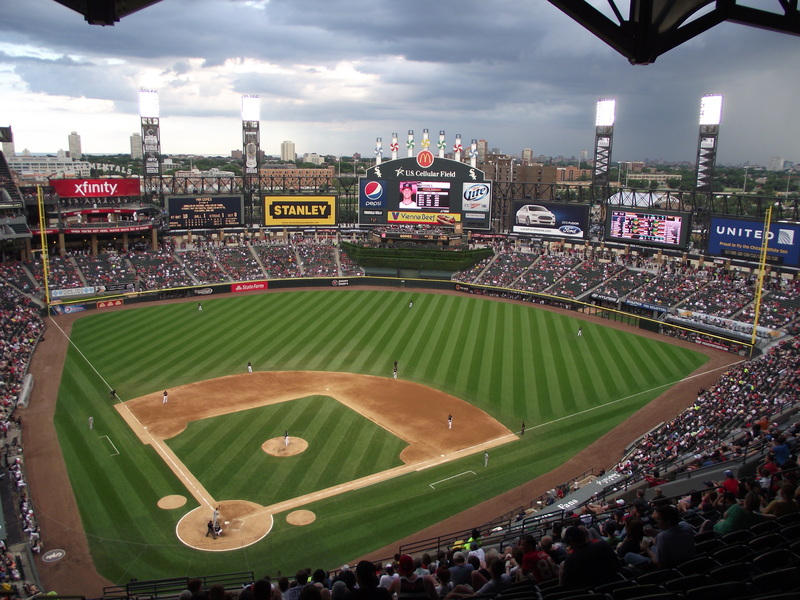 Before this game(well,the doubleheader), I was always wondering why the White Sox are considered as a second-class team in Chicago behing the Cubs. 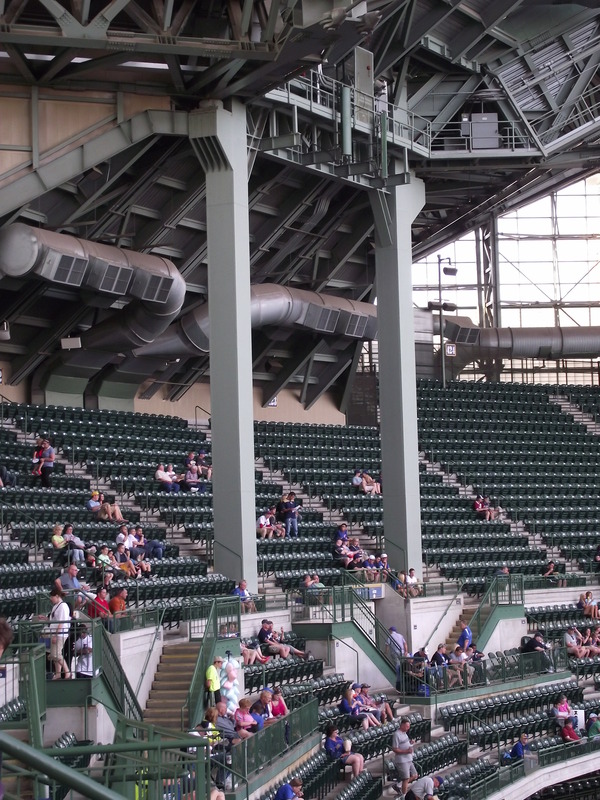 Well, I kinda get my answer… I arrived two hours before the first pitch. When I got in line, an employee told me ”Don’t wait in the sun like that(Because it was like 100 degrees), the gate won’t even open before another hour.” WHAT? I was really bothered about it! Why don’t they open at 5h30 as they usually do? Well, that wasn’t even the worst thing. After an jour, there was like 3-4 hundreds people in line at the only gate that was going to open for the game(Why,White Sox?!?!). Suddently the rain started,not only a little rain. It was a flood. The employee, dry inside the gates were looking at us and doing nothing at all(and all that was 45 minutes before first pitch). After 10 minutes of rain,they let us in and at least,i was the first in line. Great success! But there was no BP (plus a lot of people in the stands)so I knew that my chances for a third ball were during the game. 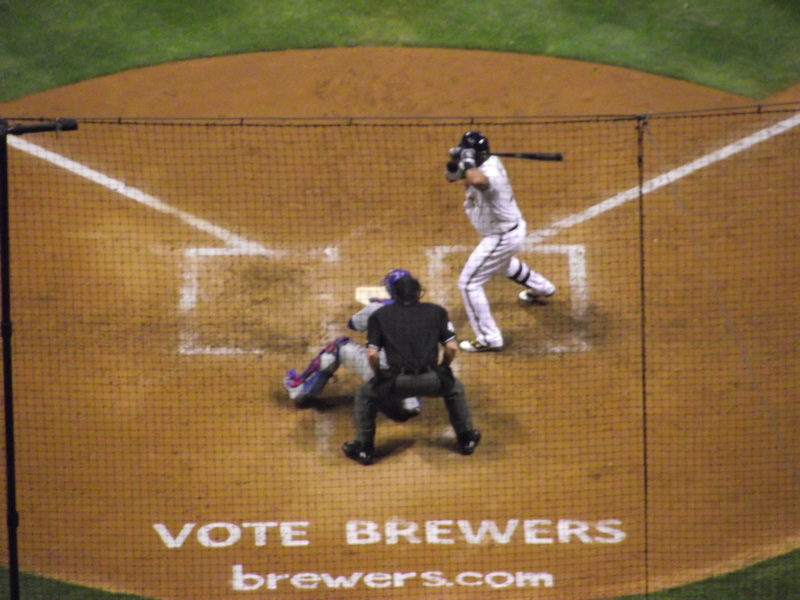 During the first game of the doubleheader, i was running for the third-out ball each inning,but it just wasn’t happening. It was always thrown to my right or to my left. In the six inning, I decided to look around the stadium. I went to the upper deck and took this picture. I don’t really understand why people don’t like this stadium. 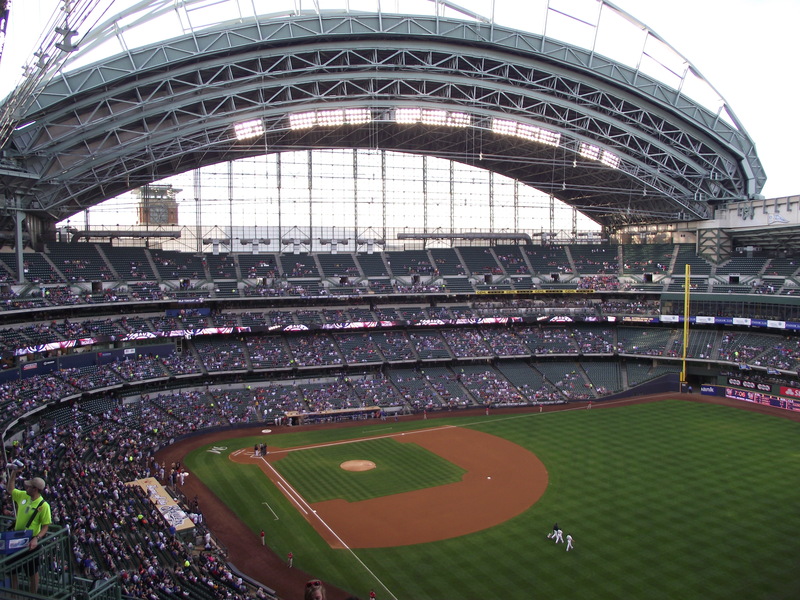 It’s not gorgeous as PNC Park Or Camdens Yard,but at least,it isn’t a copy of another stadium like a lot of the ballpark that have been built since 1992. 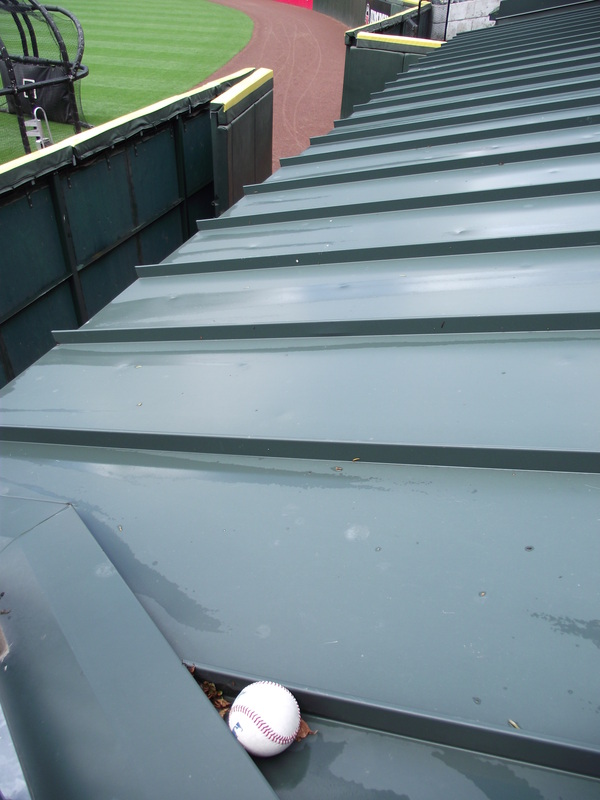 I went back down in the bottom of the 7th inning, and tried to get the warm up ball of Mark Reynolds. And he threw it to me! Third ball of the game,first warm-up ball ever! Soon,the first game of the doubleheader was over and there was a break for 20 minutes. A men from Chicago saw that I was wearing an Expos jersey and talked to me. It was already 10:30 and i had to leave at 11:00. So by the time the game started,it was 10:45 and I knew that I probably only going to see the first inning. I noticed that the first baseman was now Nick Swisher. I decided to try to have his warm up ball of the first inning. 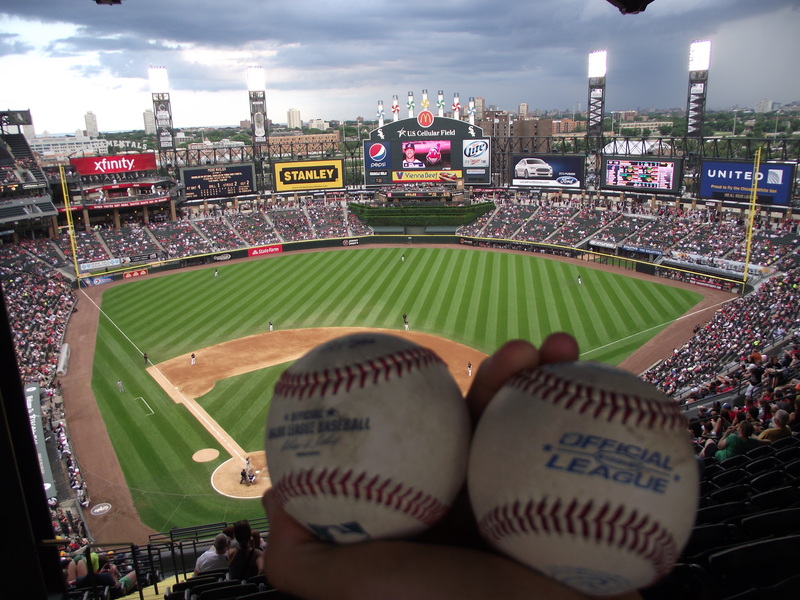 He saw me, threw directly at my glove and…another fan with a blackhawks jersey in his 30’s pushed me and took the ball. Seriously? I didn’t wanted to argue with him but i was really pissed. All the section was booing him,but he kept the ball…At least I wasn’t blanked,and i had already gotten a warm up ball. 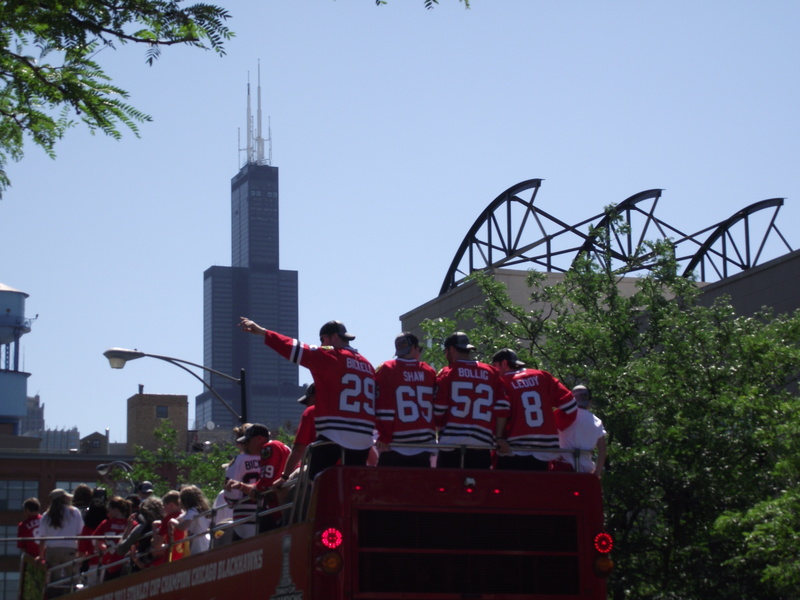 But still… Even with that sad event,it was another great day/night at Chicago! *10 balls in 7 games this season = 1,42 average ball per game. Even if you can’t see it in the picture,there’s a bridge that is crossing a small river where people can walk or bicycle. I think it’s call the Hank Aaron trail. 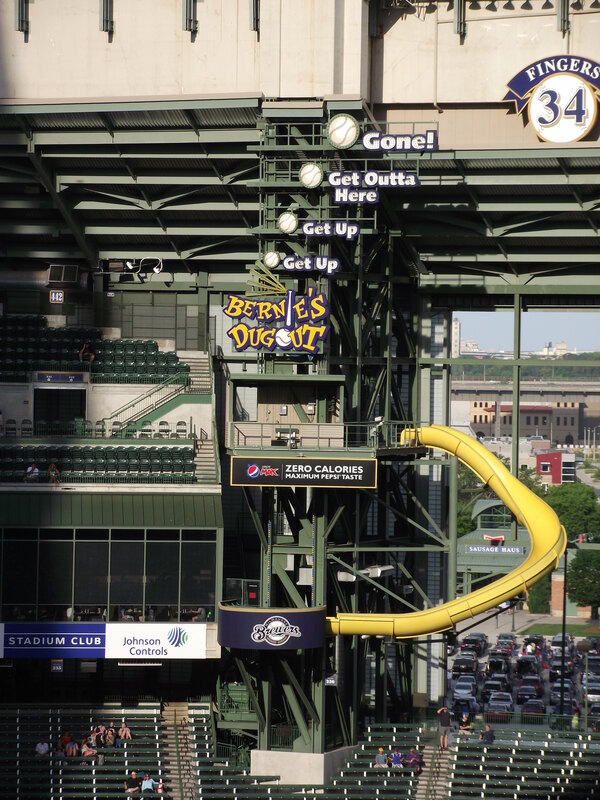 Great idea from the Brewers’ organisation! 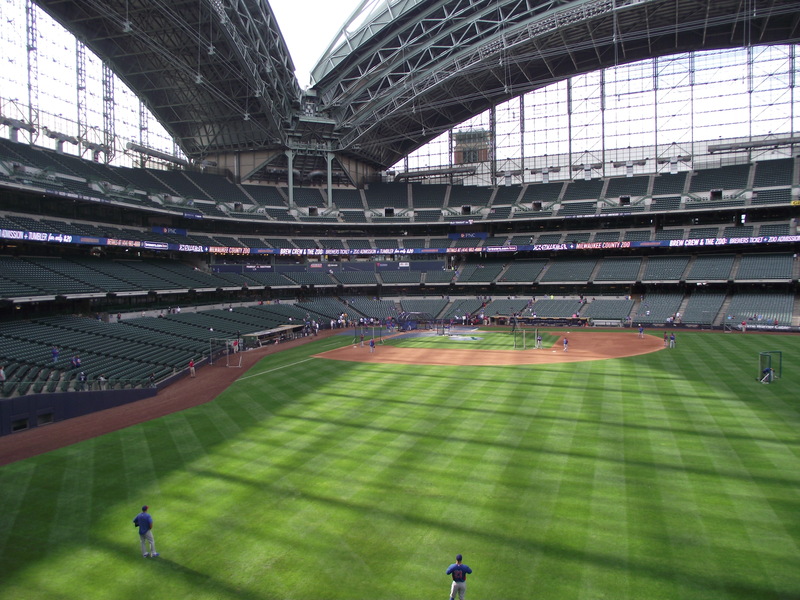 Even if the roof is pretty great,the Park itself isn’t that great. I ranked it 10th in the ballpark that I did,only in front of O.co Coliseum and Chase Field. 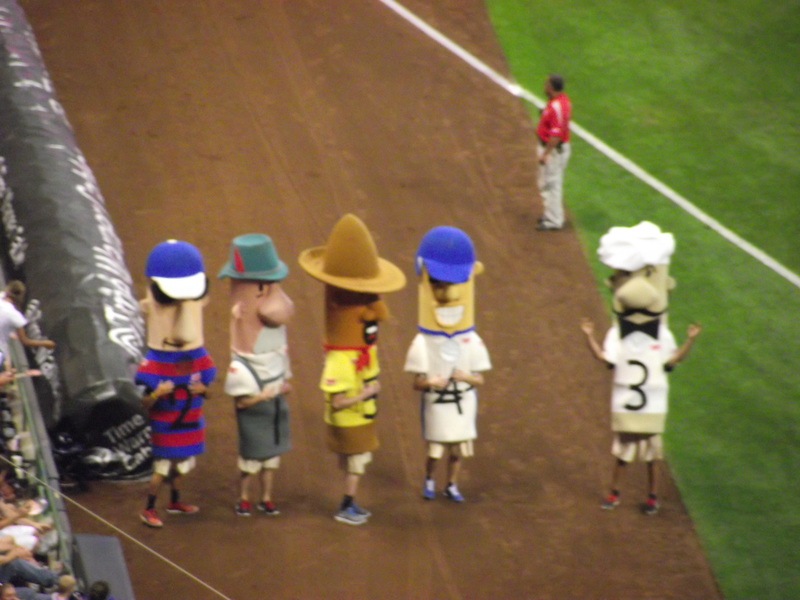 …And the famous sausage race! 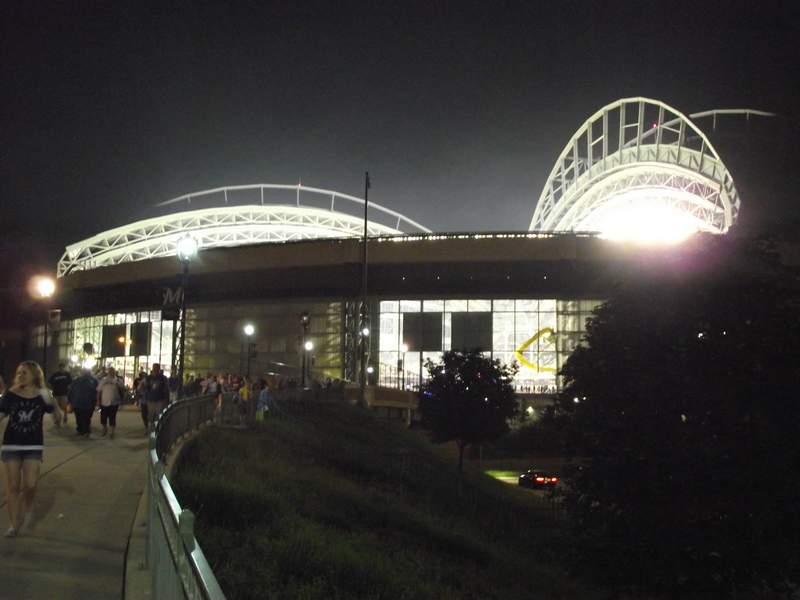 I took another pic on the way to the car of stadium that makes it look very cool! Check it out! 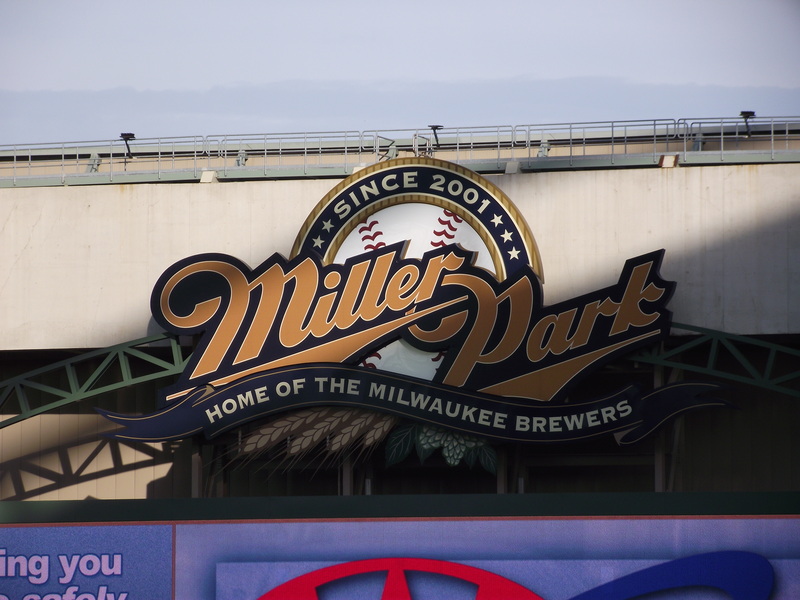 Better luck next time at Milwaukee! *7 balls in 6 games this season = 1,16 average ball per game. Toronto Blue Jays And New York Mets At Olympic Stadium!